It is not typical to hear someone gloat about the fact that they walk 5 miles every morning . Instead, walk is usually replaced by the run. Running is the champion when it comes to moderately intense physical activity, giving its contender, walking, a bad rep.
Well this makes me think: is running truly more beneficial to your health than walking? What are the benefits of walking versus the benefits of running? The risk of high blood pressure is reduced by 4.2 % when running and 7.2% when walking. The risk of high cholesterol is reduced by 4.3% when running and 7% when walking. The risk of heart disease is reduced by 4.5% when running, and 9.3% when walking. It’s not surprising that both walking and running have health benefits. What is interesting is that walking has just as much as an effect, sometimes even more, as running when it comes to maintain your health. Dr. Thompson claims that the similar benefits from running and walking is not about the intensity of the exercise, but rather about the energy that one uses in performing the exercise. 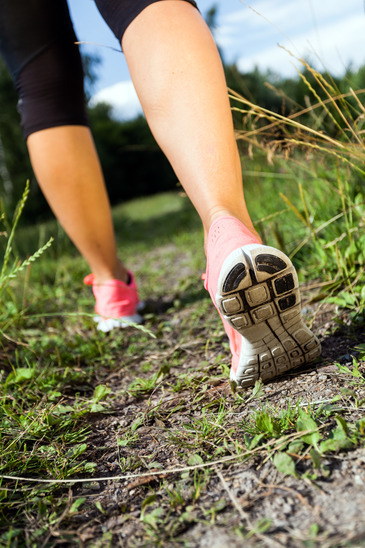 Just keep in mind that you cover twice as much ground with running than walking, so more walking would be required in order to acquire the health benefits. Also, when referring to walking, Dr. Thompson’s study does not refer to a leisurely stroll, but instead to walking at a moderately-intense pace. You can read the full study in the American Heart Association journal Arteriosclerosis, Thrombosis, and Vascular Biology.